Upcoming Events > 5% Back to The Conservation Foundation at Whole Foods! We are so very grateful to Whole Foods market for their generosity in offering April 18th as a 5% back day at five area Whole Foods locations benefitting The Conservation Foundation! 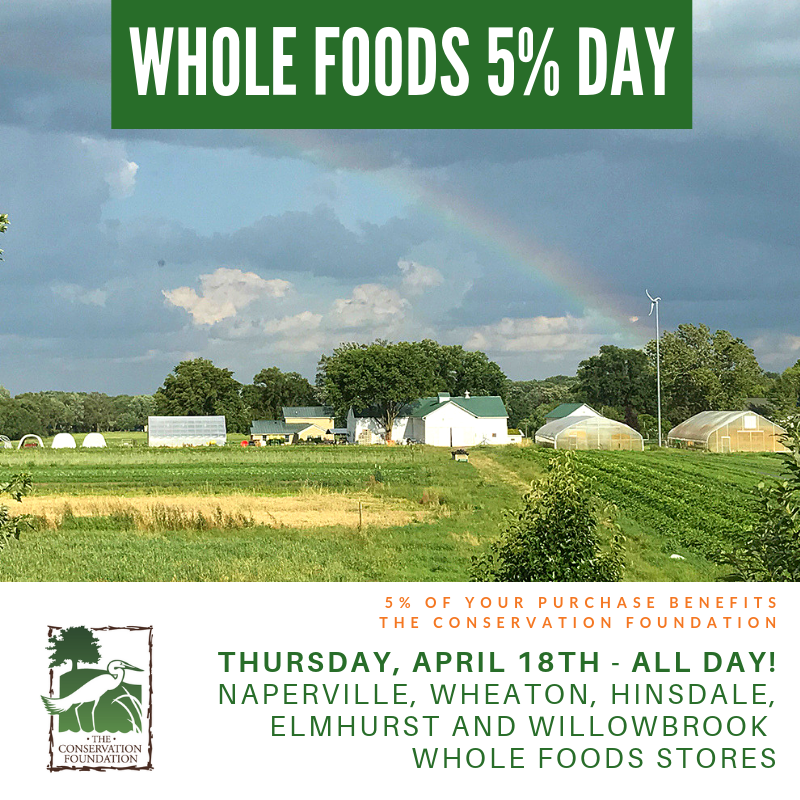 Shop Whole Foods all day on April 18th in Naperville, Wheaton, Hinsdale, Elmhurst and Willowbrook, just in time for the holiday weekend, and Whole Foods will donate 5% of the day's proceeds back to The Conservation Foundation! Feed your family well, and do some good for nature.